Greece celebrates many religious festivals throughout the year based on the Orthodox calendar. Some celebrations are the same throughout all of the Greek islands however each island also has it's own religious celebrations. 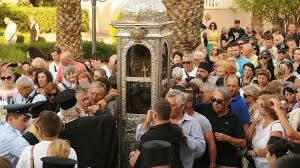 The Kefalonians honour their patron - Saint Gerasimos (1506-1579) twice a year. Gerasimos came from a wealthy family and was ordained a Monk at Mount Athos in Greece. Before arriving in Kefalonia in 1555 he spent 12 years in Jerusalem and also went to Crete and Zakynthos. Initially he was a hermit who lived in a cave in the Lassi area for five years before he built a small church where the monastery of Saint Gerasimos is today. He became famous for his charitable works, powers to heal the sick and mentally ill and caring for the poor. Centuries after his death Kefalonians believe he protects them and still has the ability to heal. The reason for this belief is due to the fact that his body never decomposed after his death. He was in fact exhumed twice as initially the Venetian authorities would not accept the findings and so the procedure was repeated a year later. The results were the same and this was seen to be a miracle. 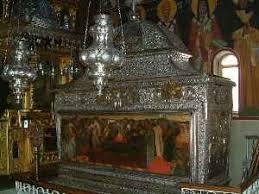 Since then his body has been honoured and kept in a silver shrine. Twice a year his body is paraded out of the monastery and approximately 500 meters. It is passed over the ill for the purpose of healing them. Although Saint Gerasimos actually died on the 15th August, as this date is the day the Assumption of the Virgin Mary is celebrated, it was decided to celebrate Saint Gerasimos on the 16th August. The second date the islanders honour their saint is on the 20th October, the date he was exhumed several years later. 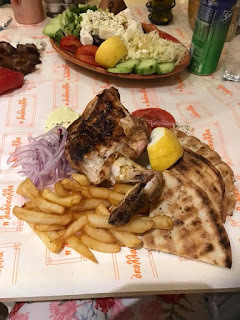 Gerasimos is a common Greek name in Kefalonia which derives from the Greek word 'geras' meaning old or honour. There are many shortened versions of the name which are heard today, the most common ones being; Makis, Akis & Simos. Kefalonians from around the world return to the island to pay respect to their patron saint making it the largest celebration in Kefalonia. 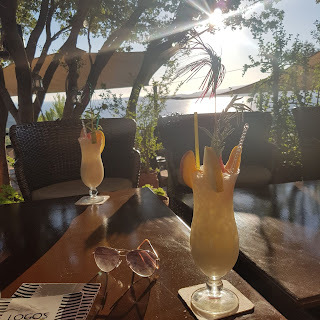 Of course we would tell you that a cruise on the Lady O is something not to be missed when visiting Kefalonia, however if you are on the island during the month of August or October this event is worth experiencing and being witness to. There is a tranquil feeling when you enter the beautiful monastery. It is rare to be in a place where there are literally hundreds of people and yet there is a respectful quietness. The choir singing is quite angelic (even if you are not religious) and will without a doubt make your hairs stand on end.